Be a Volly at the #24HOP! Volunteering is a fun way to be a part of the event, meet lots of amazing people and enjoy a camaraderie-driven event experience! Opportunities include Goodie Bag stuffing in the weeks prior to the event to jumping into the action on ride weekend as a course marshal, parking attendant, exchange tent facilitator or finish line ambassador. 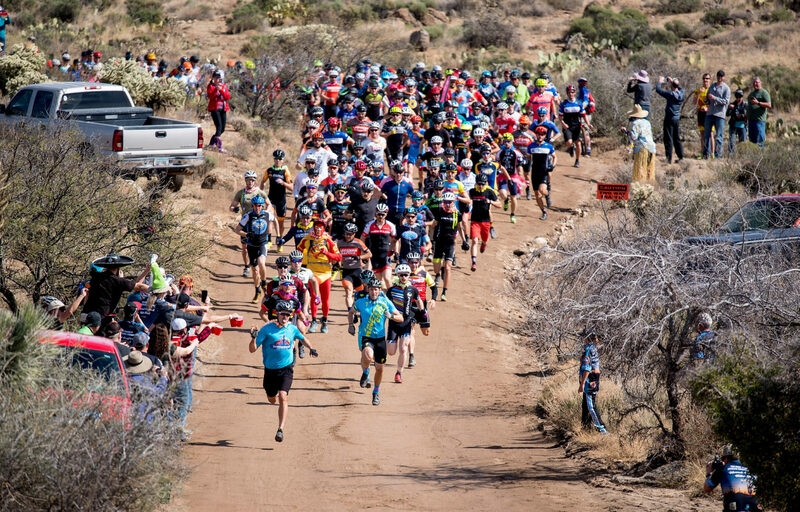 Volunteers receive an event T-shirt, goodie bag, and of course the endless appreciation of the entire mountain bike community as well as a Priority Registration incentive for the next year’s 24 Hours in the Old Pueblo. All volunteers should be prepared to spend quality time in the outdoors. Please remember to bring proper clothing, food & water, sunscreen and an open mind.